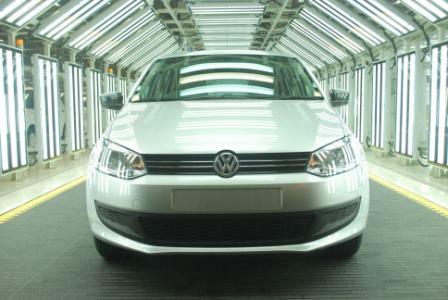 Having owned a car from the Volkswagen Group for over 10 years now, I must admit that I am a big fan of their vehicles. They are fun to drive! 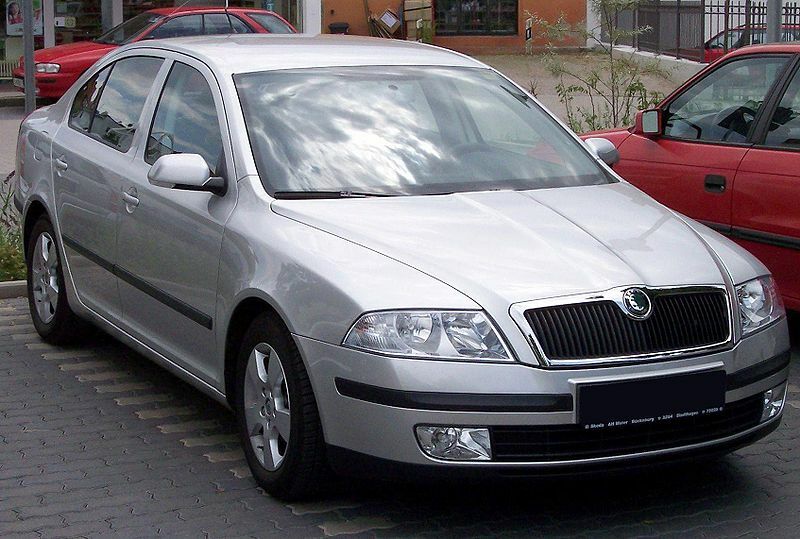 The Skoda Laura got new upgraded engines in 2009 – 1.8 TSI Petrol and the 2.0 Diesel. My experience primarily deals with the Petrol Variant. Over the past year, I have driven this car on many long highway trips, as well as on the crowded Pune roads. The Laura 1.8 TSI is a terrific vehicle. It is a driver’s car that provides great comfort for the passengers as well. The Turbo-Charged engine provides amazing power and torque. 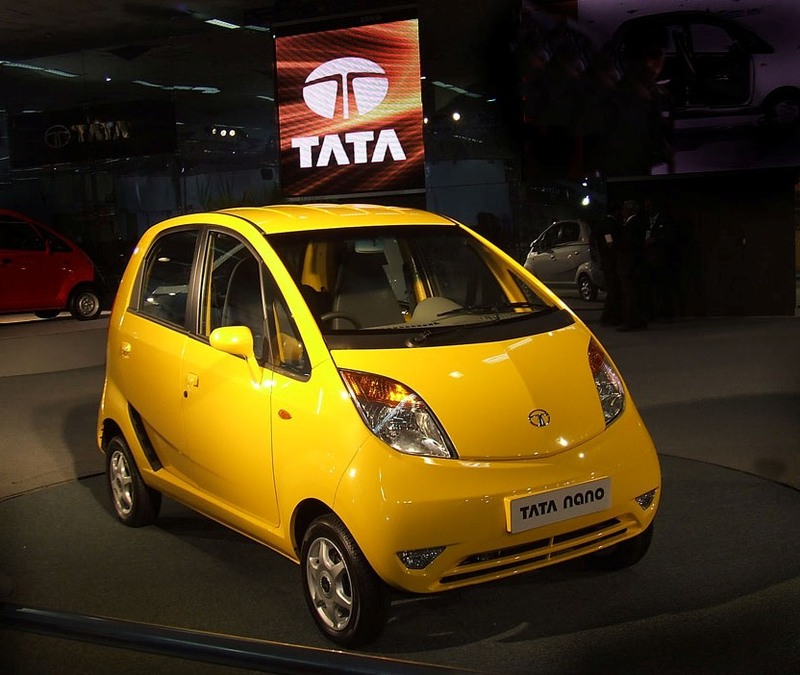 It generates 160 HP and can do 0 – 100 kmph in under 8 seconds. (The same engine is also available in the heavier Passat, Superb and A4 models, and delivers marginally lower acceleration for them, given their increased weight.) The 6 speed manual gearbox helps in smoother rides at high speeds. Overall the road handling, braking performance of this car are excellent. The 1.8 TSI (Turbo Stratified Injection) engine contains some interesting technology. In simple terms, this engine uses a combination of turbocharging and supercharging. (For more details, click here: http://en.wikipedia.org/wiki/Turbocharger http://en.wikipedia.org/wiki/Supercharger ) This technology reduces the traditional ‘turbo lag’. You can notice the pick up in acceleration at fairly low RPMs (under 1500 RPM), compared to conventional turbo-engines. And the fuel economy remains very good. I won’t bore you with more technical details, but if interested do watch this great video that explains the working of ‘TSI’ http://www.youtube.com/watch?v=fvysuD5MFow and this link. I think it is safe to say that the Skoda Laura 1.8 TSI is the fastest car (best acceleration) available in the Indian market today, in the under 25 Lakhs category (or even under 30 Lakh category). In my view it is the best car in India in the 15 Lakh Sedan Range. Its way ahead of its peers like the Toyota Corolla and the Honda Civic – especially when it comes to sheer driving pleasure. From a passenger perspective, the ride is very comfortable and quiet, and the rear AC air-vents are a nice feature – not normally seen in this category. My only issue with this model is that it doesn’t sport some of the add-on features, available in its 2.0 Diesel sibling — features like Auto Transmission, 16 inch wheels (the Petrol Variant has 15 inch wheels), and 6 airbags (the Petrol Variant has 2). Though with the addition of these features, the Diesel variant’s pricing is significantly higher (in the 18 Lakh range). This sounds like a Bollywood story of the 1970s …. two twins get separated at birth. One gets to enjoy the luxuries of the modern world, a great loving and caring family and comfort…gets to have all the fun and entertainment he desires. Has a great bunch of siblings and friends. And then there’s the poor brother! He is subjected to immense hardships…Uncaring step-parents (who for some reason seem to always wear white uniforms) ….A society that tries very hard (successfully I may add) in making sure that he doesn’t come anywhere close to realizing his full potential. He is perennially subjected to abuse and is often shackled by the environment he lives in. Rarely does he catch a glimpse of freedom (if at all)…and that too is extremely short lived. Ok – enough of Bollywood…and why am I boring myself with it 🙂 . But wait, I am not really talking about Bollywood, am I? The separated twins are in fact two impressive V8 BMWs that were produced together at the same assembly plant near Munich in Southern Germany. One had a small trip to make to Dusseldorf, and got to rule the Autobahns! While the other got ‘shipped’ to the Nhava Sheva Port in Western India, was subjected to the ‘misery’ on Indian Roads :-). I mean, you do need those 300 (or even 400) BHP engines that can do 0-100 kmph in less than 6 sec, to drive in Pune traffic…yes, definitely! And all those ‘Must-Have’ features like 4 Wheel Drive, Anti-Slip/Traction/Stability Controls, 8 Airbags, Radar Cruise Control, Lane Departure Warning Systems, Night Vision, etc…etc. are a must for Mumbai! And what better way to navigate on Indian Roads than use the latest built-in sophisticated voice-guided Satellite GPS Navigation System? The system for sure is more ‘intelligent’ and ‘effective’ than the neighborhood ‘Panwala’ when it comes to finding local street directions . On a few small occasions these mechanical thorough-breeds get to gallop a bit…that is if they manage to escape Pune Traffic…and head to the Pune-Mumbai Expressway. The Expressway itself is a poor cousin of the German Autobahn (not with respect to the road quality itself, but the way some of the smaller brethren behave on these roads – endangering everyone around them!). Still, touching 100 kmph or at times even 150 kmph must be satisfying for sure. But just when the fun starts, these cars are welcomed by ‘Navi Mumbai’…and then by…Chembur and Sion…what more can I say! 1. Complete Ongoing Projects: How about seeing the completion of long held projects? One example is Baner Road, which it seems is running as a ‘5-year plan’ 🙂 Also, a general observation – many traffic infrastructure projects are never ‘fully’ completed. Many are luckier than Baner Road, but still have that last 5% work pending forever! 2. More One-ways: One-ways work….Period. Laxmi Road, M.G. Road are great examples of this for decades. The much anticipated JM Road/FC Road one-way system finally happened in 2009. Yes, there will always be opposing voices…but look at the overall city context. A person living on FC Road might have be inconvenienced (e.g. having to drive 100 m more to get to his house…) and could voice displeasure against the one-way. But 100 people travelling from Kothrud to Pune Station are getting huge benefits! More one-way projects should be considered in 2010. The top one on my personal wish list is Prabhat Road/Bhandarkar Road one-way system. 3. Fix Stuff That Worked Before: Is this too much to expect? At the very least, infrastructure (especially signals) that worked before should work after any new project! Two glaring examples are the signals at Baner Phata/ITI Road in Aundh and Senapati Bapat Road/Ganeshkhind Road intersections. These signals worked perfectly fine until 3 years back. Now when the traffic has grown over 3 times in the past 3 years, these signals are dead…silent witnesses to the chaos around them! 6. Helmets/Seat-Belts/Airbags: Let 2010 be the year where the brave 2-wheeler riders of Pune, finally see the ‘light’ and start ‘voluntarily’ adopting helmets! Failing which, hope they understand – they might end up seeing a light from a ‘heavenly’ place 🙂 And seatbelts being used in cars. And yes, I know airbags are not yet mandatory in Indian Cars. But a sincere request to many who can afford to pay a little more when buying a car. Buy one with airbags! And how about not using mobile phones while driving? 7. Work Begins In Earnest On Highway Projects: The good news of 2009 was the approval of Pune-Solapur Road and Pune Satara Road 6-Laning Projects, along with the allotment of the construction contracts. Hope the work starts in earnest towards the planned 2011 completion. And it would be great if some more progress gets done on finalization of the Easterly Bypass and the Outer Ring Road for Pune. 8. 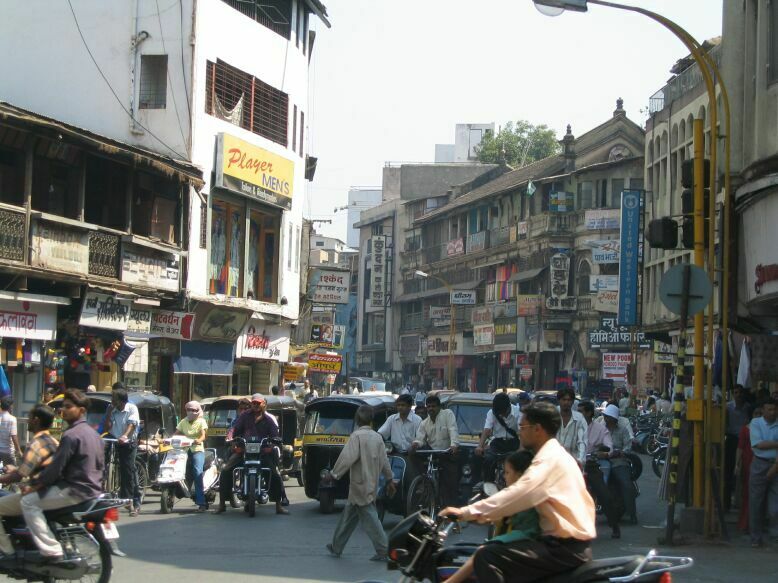 Cycles – Pune was the bicycle capital of the world for many years. Now this great eco-friendly invention is dying here L Efforts to resurrect it are sporadic. For starters, would be great to see the Cycle Tracks (that, believe it or not, do exist at some places!) are translated into an actual reality. 9. Better utilization of the BRTS Lanes – I am not going to comment on whether BRTS is a good idea or not. Entire blogs could be dedicated for that 🙂 However, now that those BRTS Lanes are a reality, how about implementing and utilizing them more effectively? I understand the need for dedicated lanes during rush hours (when the busses ply with high frequency). But, how about considering some changes during non-peak hours? Hope some sensible middle-ground is achieved in 2010! 10. And last but not the least – Would be great to see all the existing traffic rules being enforced in 2010! Pune has been at the forefront of automobile industry in India for over half a century. Thus today it quite befitting that Europe’s largest automaker, started production of its most popular small car, from arguably their most advanced manufacturing facility in the world, at Chakan Pune. I was fortunate to visit the Chakan Plant on this important occasion. Got a chance to tour their impressive assembly facility, and also attend the official media briefing by the Volkswagen Management. The Press was there in big numbers, and I am sure there will be a lot of coverage about this event and the new car in the days to come. The VW Polo, while new to India, has been one of the most popular models for Volkswagen over the years. While the original Beetle was the ‘People’s Car’ many decades back, the ‘Polo’ has been in that league for the past couple of decades in Europe. (Note – The Indian market is familiar with Polo’s sister car, the Skoda Fabia, which is also assembled at the same Plant). The Polo will be formally launched in India at the Delhi Auto Show next month, and is expected to be available to customers by middle of 2010. The Polo is quite compact and should fit in quite well in the small car segment in India. The design seems a little conservative compared to some of its other peers in the category such as Honda Jazz, Hyundai i20 and Fiat Punto. The interior feels quite nice and the controls and steering are very comfortable. (VW, like the other large automakers, has standardized many controls (e.g. turning indicator stick,light switches, etc.) across multiple models. Hence for someone like me who has owned other VW cars, these controls feel very familiar). Of course, the real test of a car is when driven – hence its difficult to comment a whole lot at this point of time. But given VW’s legacy, and the reviews I have read from Europe, it would be fair to say that it would be a fun car to drive! A lot also depends on which engine variants VW India finally ends up supporting for this car. However, yesterday’s star attraction for me was not the Polo Car, but the Plant facility. As I mentioned earlier, this facility is one of the most sophisticated Plants in the world and has been built with an investment of over 800 Million Dollars (580 Million Euros). Spread over a land expanse of 550 acres in Chakan MIDC, the factory building itself occupies nearly 30 acres. The facility is designed to produce 110,000 cars per year, once it gets to full capacity. The plant can be reconfigured easily to produce different variants/models. The level of automation is impressive. Presently VW plans to manufacture the Skoda Fabia (production started earlier this year), the VW Polo, and a new Salon Car (to be launched in the 2nd half of 2010). This massive facility was built in a record 17 months. This Plant supports the entire manufacturing process from the press shop, through body and paint shops, to final assembly. Many local vendors have been identified for supplying various parts and sub-assemblies. Initially, the Polo manufactured at the Chakan Plant will have around 50% localization. However this is expected to get to 80% eventually. In the interest of full disclosure, I must admit that I am a big VW fan, having owned their vehicles for the better part of this decade!